Our organically crafted Acai Berry Body Butter (pronounced ah-sigh-EE) is a premium quality, anti-oxidants rich, fruit butter obtained by the extraction of the pulp of the Acai Berries (Euterpe oleracea) into our proprietary exotic butter base to produces a luxurious, soft and spreadable butter with a mild pleasant fruity odour that melts quickly into the skin upon application. 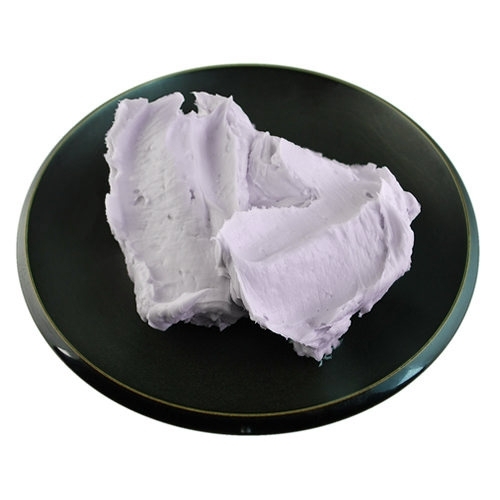 With this exotic butter we get the antioxidant properties of the Acai Berries in a luxurious, easy to use butter base that will add amazing skin feel to any emulsion, or anhydrous formulation. Acai Berry Butter is an effective emollient and moisturizing agent, has healing benefits for dry and cracked skin and smoothing lines and wrinkles. Studies have shown Acai fruit pulp to be even richer in antioxidants than cranberries, raspberries, blackberries, strawberries, or blueberries. As measured by ORAC value (Oxygen radical absorbance capacity), Acai berry contains 10 times the amount of Anthocyanins (a potent antioxidant responsible for the dark purplish color of the berries) as are there in red wine. It also effectively restores the skin's elasticity levels and contains anti-bacterial properties. This makes it an incredibly effective cosmetic ingredient for skin care cosmetics; it is especially effective when used for its anti-aging benefits.